Though it used to be an expensive hassle, swapping out your old incandescent light bulbs for compact fluorescent light (CFL) bulbs is now an easy and inexpensive way to update your interior lighting and save serious money on your power bill in the process. Because they burn brighter and more efficiently than incandescents, fluorescent light bulbs have become incredibly popular over the last few years. According to the Department of Energy and verification from Consumer Reports, a compact fluorescent light bulb can last between six and 12 times longer than an incandescent light bulb. The source of that staggering difference in performance is all thanks to the elements inside those curly little bulbs. Fluorescent and incandescent light bulbs are incredibly similar in structure and function. Both use electricity to heat up an element inside a glass container full of inert gas and produce light as a result. But, the reason fluorescent bulbs last so much longer and burn so much brighter than their predecessors is the fact that rather than heating a metal element that can burn out relatively quickly – like the tungsten in incandescent bulbs, which heats unevenly and reacts poorly with oxygen – fluorescent bulbs heat a liquid element, turning it into a gas that kicks off a light-producing chemical reaction. Because the liquid doesn't burn away like tungsten, it allows the fluorescent bulb to burn longer. Each component in the CFL bulb, which includes the lighting element, the bulb coating and the covering, all do their part in this process. Fluorescent light bulbs use small amounts of liquid mercury as their lighting element, in addition to argon, which is an inert gas that helps to regulate the flow of electricity within the bulb and maintain the amount of light produced by the mercury. When switched on, the electricity flowing through the bulb heats and vaporizes the mercury. When the excited mercury atoms settle down, they give off ultraviolet (UV) light, which reacts with the bulb's coating to create visible light. 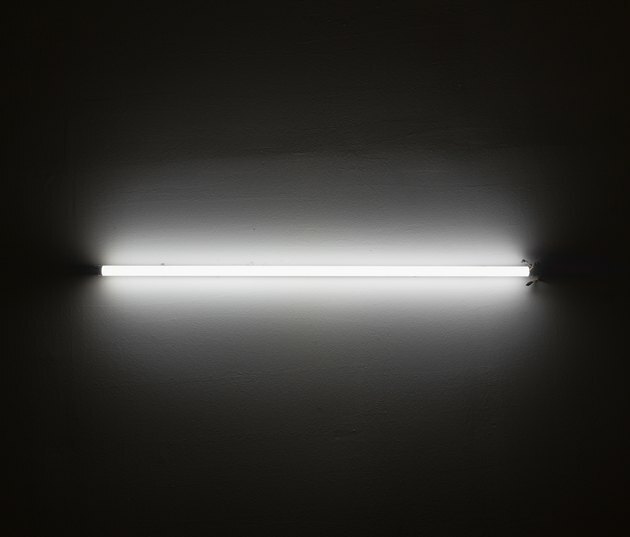 In order to convert the UV light given off by the mercury into visible light, the insides of fluorescent light bulbs are coated in a thin layer of phosphor – specifically, a blend of mixed phosphates. The phosphor layer blocks most of the ultraviolet light and what remains is emitted as visible light. Depending on the desired light color, the blend of phosphates in the coating can change. Different blends can produce red, yellow, blue, and green light in addition to white. Depending on the make and model, certain fluorescent light bulbs have a glass or plastic cover placed over them in order to make the bulb appear more like a familiar incandescent light bulb. This cover is purely cosmetic and often increases the time it takes for the bulb to warm up and achieve its full brightness. However, these covers can be tinted to further customize the color and warmth of the light produced by the bulb. Can You MIG Weld Tin?